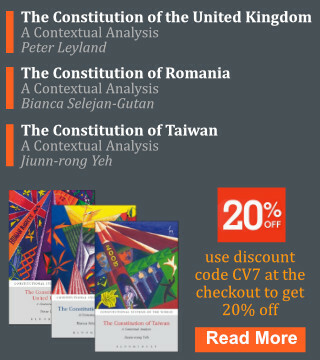 The Vienna Journal on International Constitutional Law is dedicated to a wide range of subjects including in particular European Constitutional Law, Public International Law, the Constitutionalization of International Law, the Internationalization of Constitutional Law, the Migration of Constitutional Ideas, Legal Theory, and Comparative Constitutional Law. By linking these select perspectives, the Journal endorses an approach towards a coherent understanding of International Constitutional Law, thus preparing the ground for novel answers to the challenges of a changing global legal framework. We are grateful that Frederick Schauer (David and Mary Harrison Distinguished Professor of Law, University of Virginia School of Law) and Alexander Somek (Professor of Legal Philosophy, University of Vienna) agreed to share their thoughts on the topic in two Keynote Lectures. Additionally, we encourage academics from around the globe to participate in this event and to introduce us to their ideas on the concept of ‘International Constitutional Law’, its origin, its meaning, its scope, and overall its heuristic and doctrinal value. We are looking forward to receiving abstracts of no more than 300 words accompanied by your CV and, of course, to meeting you soon in Vienna. Submissions and inquiries may be directed to Maria Fegerl (maria.fegerl@wu.ac.at) until May 15. All applicants will be notified by May 31. Accepted papers will be included in ICL Journal Vol 11. Please be advised that travel expenses cannot be covered. Hello, I am very sorry, the topic is very interesting, but on the other hand, would it be possible to describe in couple of sentences, what we could image under the title? I am sorry for this question, but for me it is the first occasion to meet such a topic. Could you clarify by when we should submit the abstracts? Is is to be submitted along with the paper? Is it possible to get a paper published in your journal, without actually attending the conference?